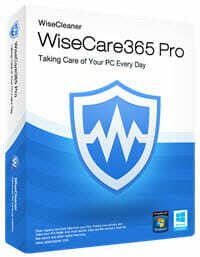 The folks over at WiseCleaner are offering our DCT readers an exclusive giveaway of their WiseCare 365 Pro software for a limited time. The licenses issued for this giveaway are good for unlimited use, but do not provide for upgrades. This offer will be available beginning on November 20 and will expire on November 24, 2018. Keep your eyes open for this offer when it is published on Tuesday so you can get your free copy! This contest is running now and will continue through November 22, 2018. This is a full-feature application and definitely worth your attention! You can read all about it and enter the contest at this Replay Capture Suite contest page. This giveaway contest is scheduled to begin on December 10, and will end on December 20, 2018. Another great Ashampoo program to keep your eyes on! Aomei has been kind to us by offering five licenses to our readers for a Partition Assistant Pro giveaway contest. Each license is currently discounted at $49.95 (US), but you could win one for free by entering our giveaway contest! This giveaway contest is scheduled to begin on December 24, and will end on January 3, 2019. This is a great chance to win a great program! Richard , I forget where to enter the contest, here? 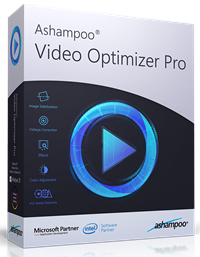 lol I want that ashampoo video real bad, I love messing with videos :-)’ anyway on IEDEAL VIDEO program that came up, it downloads the url video as a file, I thought it should show as a video mp4 , but you have to open and choose what to play on etc, any way to change it, Im confused. Is there a chance of WinX HD video conveter deluxe coming back , I got a new pc and dont have it anymore, loved that progam,Im on disability and cannot afford all this 🙂 ….. Thank you and your site for all the pleasures I experiened with software. It looks like Digiarty has taken over WinX DVD and the successor to WinX HD Video Converter Deluxe is VideoProc 3.1. I will contact them and see what I can do about getting a giveaway contest set up. I’m booked into next year, so be patient. Hello Rena. I upgraded to VideoProc from WinX HD and the transfer speed is blazingly fast. If you enjoy (or need to) convert formats, or download Youtube videos, you will enjoy this program. Best of luck, Mindblower!